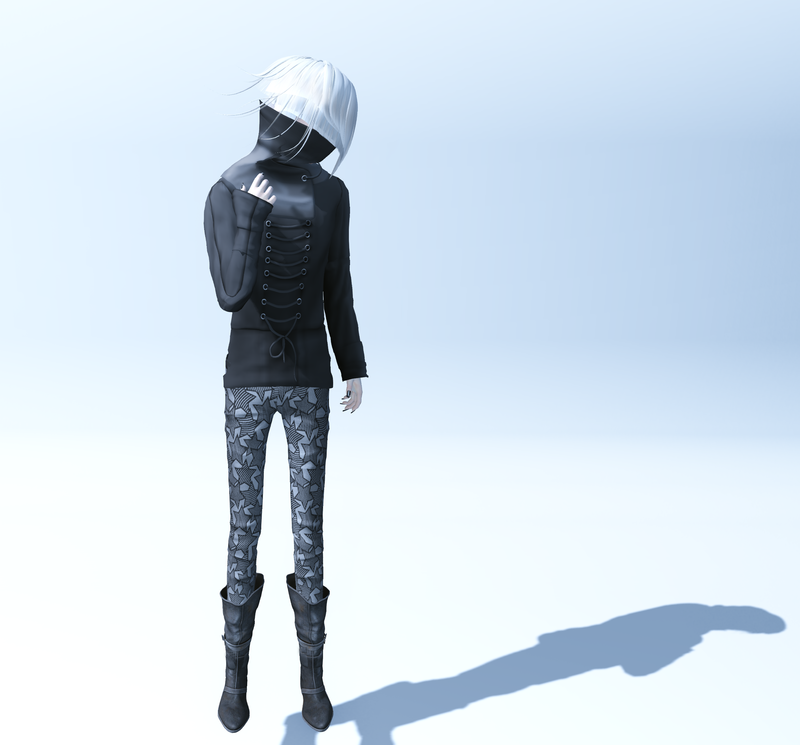 It’s been a dream of mine for years for there to exist a recurring monthly sale of a high quality in SL where in every stall there are both male and female exclusives and/or unisex exclusives to purchase. But I didn’t imagine that one day I would be the one making that event happen! It brings me great joy to say I am the owner of the new monthly sale event Epicene . What it is, is just what I described, each designer has something for guys and girls to offer, brand new and exclusive to the event, and it’s all original content, from original mesh to poses & photo props. This event has no theme other than that, and so you’ll find a great, eclectic variety to choose from, something to suit every taste. 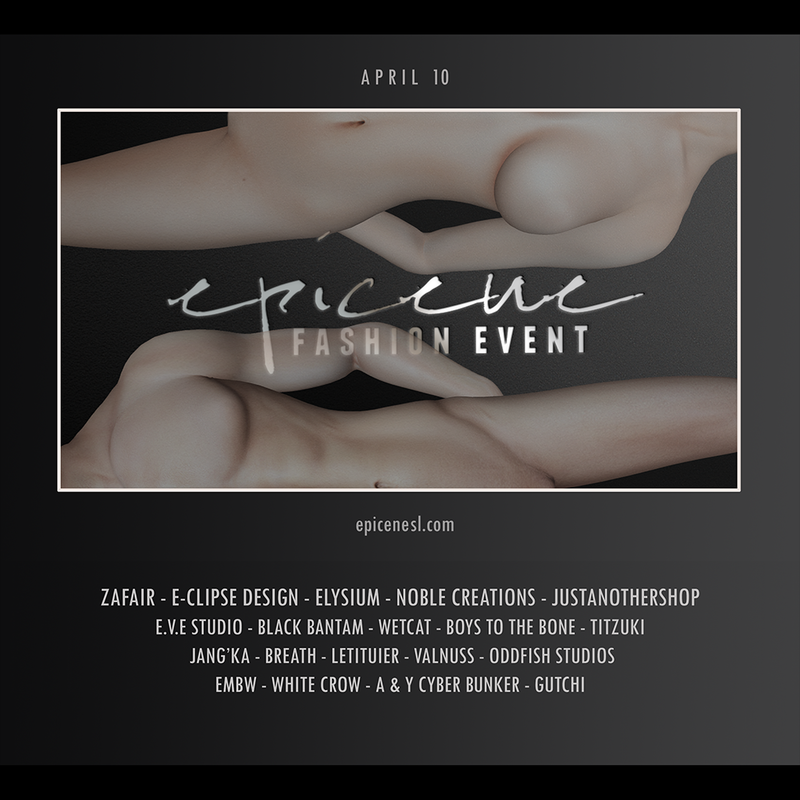 There are 19 fabulous designers participating in Round 1 of Epicene , which runs from April 10th (opening at 10am SLT/PDT) to April 30th, the end of the month. Here is your first sneak peak from me of a couple of Epicene exclusives. These casual pants from Breath come in many striking, bold and stylish patterns and colours. In my photo, I’m using a one of 6 original male poses that come with the “Best Song Ever” unisex prop & pose set by WetCat. 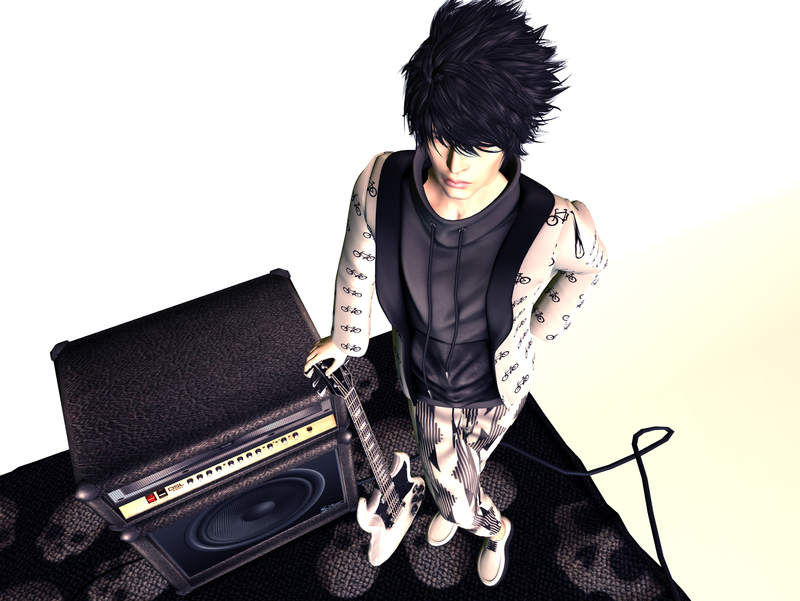 The guitar, amplifier, and speaker are part of it, and there are also 4 female poses in the set. There’s also a couples version of this set available separately, it’s all really reasonably priced and you get a lot of bang for your bucks! These are just some of the many cool items you’ll find at Epicene , and I’ll be blogging all of them. So come by some time when it opens, everyone is welcome.